DreamWorks Animation SKG, Inc. (NASDAQ: DWA) is an American animation studio based in Glendale, California that creates animated feature films, television program and online virtual worlds. They have released a total of 24 feature films, including the series of Shrek, Madagascar, Kung Fu Panda and How to Train Your Dragon. Even though the studio also made traditionally animated films about serious subjects earlier, such as The Prince of Egypt, Joseph: King of Dreams, The Road to El Dorado, Spirit: Stallion of the Cimarron, and Sinbad: Legend of the Seven Seas, most of their computer-generated films and television series have now gained the studio a reputation for being focused on humor and satirealthough their most successful recent franchises have it balanced with more dramatic narratives. The studio was formed by the merger of the feature animation division of DreamWorks and Pacific Data Images (PDI). Originally formed under the banner of DreamWorks in 1997 by some of Amblin Entertainment's former animation branch Amblimation alumni, it was spun off into a separate public company in 2004. DreamWorks Animation currently maintains two campuses: the original DreamWorks feature animation studio in Glendale, California and the PDI studio in Redwood City, California. Films produced by DreamWorks Animation are currently distributed worldwide by Paramount Pictures, a subsidiary of Viacom, who acquired the DreamWorks live-action studio in February 2006, spinning it off again in 2008. In 2013, however, 20th Century Fox, a subsidiary of News Corporation, will distribute DreamWorks Animation films for a 5-year-deal, however the deal doesn't include the distribution rights of the movies that have been released through Paramount Pictures. On October 12, 1994, DreamWorks SKG was formed and founded by a trio of entertainment players, director and producer Steven Spielberg, music executive David Geffen, and former Disneyexecutive Jeffrey Katzenberg. The new studio has attracted many artists from Spielberg's animation studio Amblimation. They first joined in 1995, when the last feature was completed, and the rest came in 1997, when the studio had shut down. In 1995, DreamWorks signed a co-production deal with Pacific Data Images to form subsidiary PDI, LLC (PDI owned 60% of PDI, LLC, while DreamWorks SKG owned 40%). The new unit would produce computer-generated feature films beginning with Antz in 1998. In the same year DreamWorks SKG produced The Prince of Egypt, which used both CG technology and traditional animation techniques. In 1997, DreamWorks partnered with Aardman Animations, a British stop-motion animation studio, to co-produce and distribute Chicken Run, a stop-motion film already in pre-production. Two years later they extended the deal for an additional four films. With Aardman doing stop-motion, they covered all three major styles, beside traditional and computer animation. This partnership had DreamWorks participating in the production of stop-motion films in Bristol, and also had Aardman participating in some of the CG films made in the US. In 2000, DreamWorks SKG created a new business division, DreamWorks Animation, that would regularly produce both types of animated feature films. The same year DW acquired majority interest (90%) in PDI, reforming it into PDI/DreamWorks, the Northern California branch of its new business division. Next year Shrek was released and went on to win the first Academy Award for Best Animated Feature Film. Due to the success of CG animated films, DWA decided the same year to exit hand-drawn animation business after the next two of total four hand-drawn films. Beginning with Shrek 2, all released films, other than some co-produced with Aardman, are expected to be produced in CG. Release of Shrek 2 and Shark Tale also made DWA the first studio to produce two CG animated features in a single year. The animation division was spun-off on October 27, 2004 into publicly traded company named DreamWorks Animation SKG, Inc. and headed by Katzenberg. DWA also inherited interests in PDI/DreamWorks. They made an agreement with their former parent to distribute all of their films until they deliver 12 new films, or December 12, 2010, whatever comes last. On January 31, 2006, DWA entered into a distribution agreement with Paramount Pictures, which acquired DWA's former parent and distribution partner, DreamWorks SKG. The agreement granted Paramount the worldwide rights to distribute all animated films, including previously released until the delivery of 13 new animated feature films or December 31, 2012, whatever comes last. On March 13, 2007, DreamWorks Animation announced it would release all of its films, beginning with Monsters vs. Aliens (2009), in stereoscopic 3D. 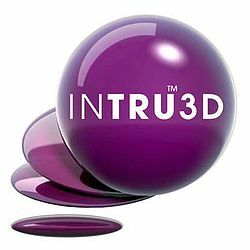 Together with Intel they co-developed a new 3-D film-making technology InTru3D. In 2008, DWA extended its production into India, where they established a special unit within Technicolor, named DreamWorks Dedicated Unit. DDU at first worked only on TV specials, such as Merry Madagascar, and Scared Shrekless, and DVD projects. With animating part of Puss in Boots (2011), they also started contributing to the feature films. Since 2009, the studio has been a regular guest on the list of Fortune Magazine's 100 Best Companies to Work For. As the only entertainment company on the list, they ranked 47th in 2009, 6th in 2010, 10th in 2011, and 14th in 2012.The company is praised by its employees for its openness, culture of collaboration, and a free breakfast and lunch, a perk not found at many other companies. With 2010, the studio had planned to release five feature films over the course of every two years, but the next year the studio revisited their plans, "But beyond 2012, Katzenberg said the studio will play it by ear, even if that means abandoning his proclamation that DWA would try to release three pictures in a single year, every other year." In 2010, DWA became the first studio that released three CG-animated films in a year. The same year DreamWorks Animation created a new division named MoonBoy Animation. Its first show was Neighbors from Hell, a collaboration with Fox Television Animation. On February 17, 2012, DreamWorks Animation announced a joint venture with China Media Capital, Shanghai Media Group and Shanghai Alliance Investment to build a Shanghai based family entertainment company named Oriental DreamWorks. The new venture is expected to develop and produce original Chinese animated and live action content for distribution within China and worldwide. The company will also produce live entertainment content, theme parks, games and consumer products. Oriental DreamWorks, owned 45% by DWA and 55% by the Chinese partners, and with the cash and intellectual capital worth of $330 million, will get $2 billion investment in next five years, and is expected to launch in late 2012. The studio's first animated feature film is planned for 2016, with one animated feature per year till 2018, and two per year after that. A live action film is expected to be released within next two years. In July 2012, DreamWorks Animation won a $155 million bid to acquire Classic Media, an owner of over 450 family entertainment titles and over 6,100 episodes of animated and live-action programming, including Casper,Lassie, Rudolph the Red-Nosed Reindeer, Fat Albert, and Where's Waldo?. Classic Media will be renamed to DreamWorks Classics. According to a Los Angeles Times report, DreamWorks Animation was in talks with Sony Pictures to distribute its upcoming films, such as The Croods and Turbo. The report also mentioned a possibility where Sony would handle the United States distribution while 20th Century Fox would handle the international distribution. Renewal of the deal with Paramount was also open, but only with more favorable terms for Paramount. However, in August 2012, DreamWorks Animation signed a five-year distribution deal with 20th Century Fox for both domestic and international markets. However, the deal doesn't include the distribution rights of the movies that have been released through Paramount Pictures.